I love food. Who doesn't? Haha. Since I'm not originally from Davao, I rely greatly on food reviews I find on the internet. 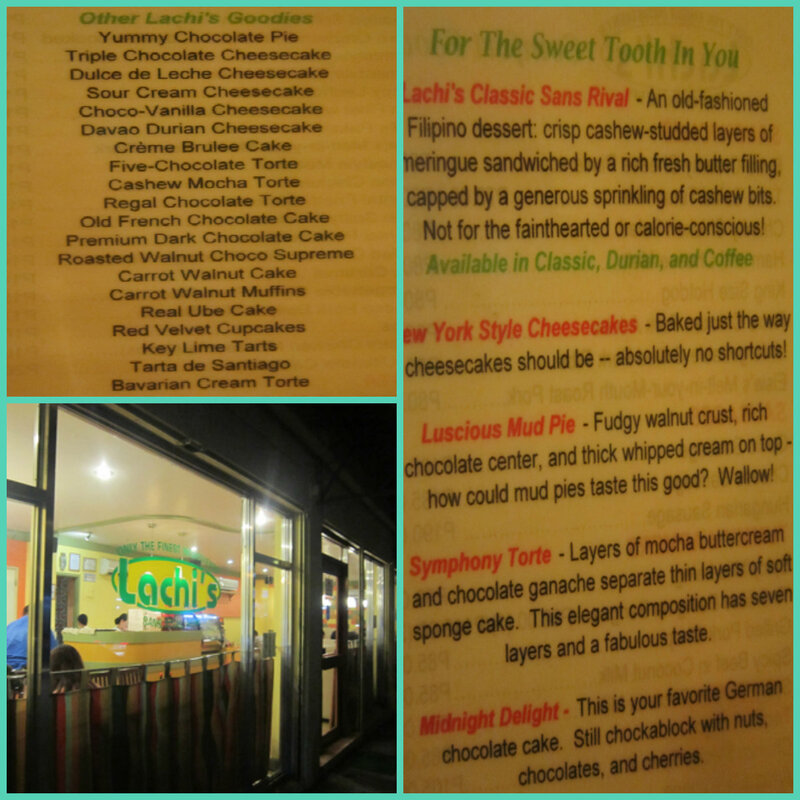 I read a lot of great reviews for Lachi's but haven't visited since its far from our place and we usually dine in restos found in malls because its convenient. Last Friday, I went out of my way to try and see for myself what it really tastes like. I fetch the boys from school and went directly to Lachis. The place was almost packed since it late in the afternoon. They have a variety of crowd from students, families, couples. 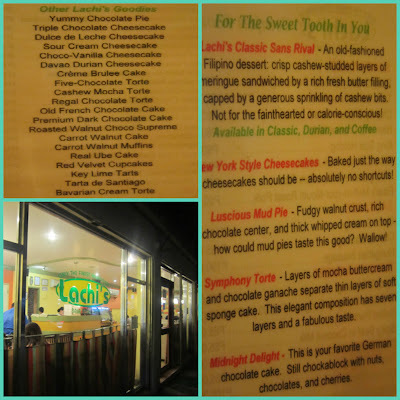 It shows that Lachi's is loved by all. The server came and I asked her what she would recommend for a first-timer. She said we should try their Unforgettable Grilled Pork Ribs, Cheesecake and Sans Rival, of course. She told us to wait for 20 mins for food to be prepared. While waiting I took some photos of their cakes, pies and cupcakes. Come 20 mins our food was served. The Unforgettable Grilled Pork Ribs stand true to its name. It really is unforgettable. The meat is grilled to perfection keeping it tender and juicy. The boys had Homestyle Fried Chicken which for me is just okay. Nothing extra special, still the boys loved it. Kids love fried chicken. For our desert, we had Triple Chocolate and Sans Rival. The taste is just right. Not too sweet but will truly satisfy the sweet tooth in you. 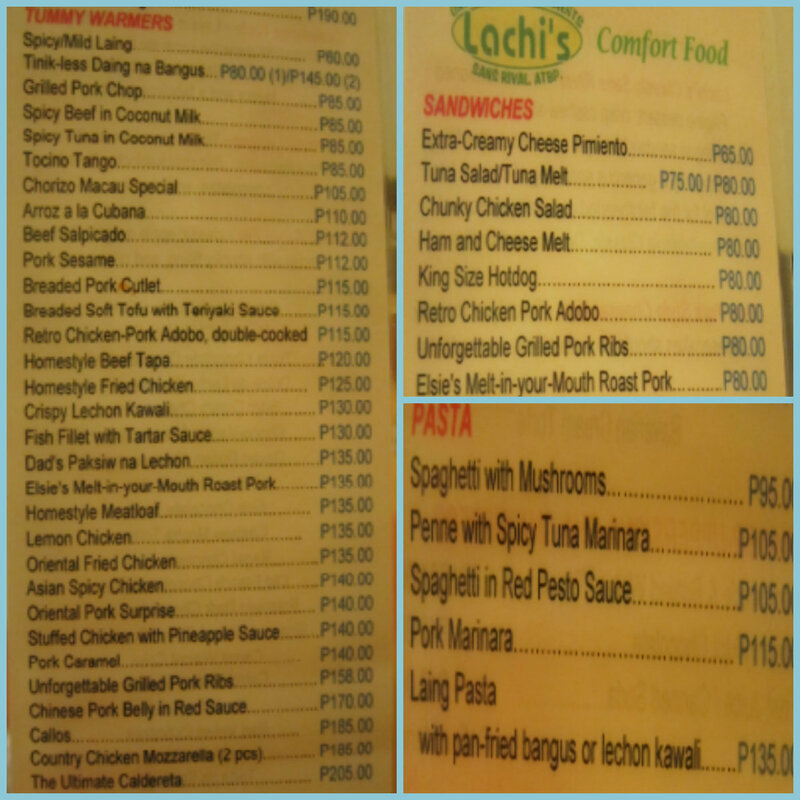 Here's a photo of their menu. My rating is 5/5. The food is great and service is good. I will definitely come back and try some of their best-sellers. Do you have a suggestion on what I should try next? I'd love to hear from you.